Virtual Causeway’s marketing services adds punch to your existing marketing programs and stretches your marketing dollars. Here at Virtual Causeway we have several marketing automation systems that can help you define the perfect lead, nurture accordingly and close the sale. We help you create content to drive traffic and establish thought leadership. Inbound marketing helps build your brand and fill your sales funnel. Virtual Causeway will produce a scrubbed suspect database in your target market, utilizing web research and telephone outreach methods. Virtual Causeway will work to identify the appropriate suspects within your organization’s target market and qualify or nurture the contacts in order to turn them into qualified leads. Virtual Causeway’s event services can help you fill seats with qualified registrants and attendees. We will work to identify the appropriate contacts within your organization’s target market. We use live, human agents to accurately “guide” your pre-recorded message into the right person’s voice mailbox. Fast. Easy. Cost-Effective. In addition to making blog content available to search engines, good SEO will boost rankings so that your content will be placed where searchers are more likely to be looking for it. Doing more with less is a common phrase these days. Driving a higher volume of more qualified leads with fewer marketing dollars is a reality in today’s economy. Virtual Causeway’s marketing services adds punch to your existing marketing programs and stretches your marketing dollars. We hit the ground running to support your existing campaigns, or work with you to craft new ones. Our strength is our flexibility and marketing expertise. If you need staff extensions for a push during a short-term product roll-out, or ongoing support, we can help you meet your goals and see a return on your marketing investment. Do you want to generate leads faster? Optimize and manage your e-mails, contacts, social tools all in one place? Nurture prospects, score their interest, automate communications and monitor their engagement? Save time and money by automating campaigns and events? Set up webinars, social media posts, reporting, and more? Look no further. Here at Virtual Causeway we have several marketing automation systems that can help you define the perfect lead, nurture accordingly and close the sale. Not to mention, we have some pretty awesome certified consultants to help you every step of the way. Inbound marketing helps build your brand and fill your sales funnel. To ensure you are kept relevant and top of mind, your business should always have an inbound marketing strategy in place. Virtual Causeway helps you create content to drive traffic and establish thought leadership. We create e-mail campaigns to optimize reach, optimize your website for search engine optimization (SEO), develop microsites for particular campaigns and help with social media outreach. Having the most up to date list is crucial for Business-to-Business marketers when starting a new campaign. It is important for your marketing team to be able to nurture the correct contacts, and your sales team to have the correct contact information. Virtual Causeway will produce a scrubbed suspect database in your target market, utilizing web research and telephone outreach methods. Virtual Causeway can also validate any existing records in your database and find replacement contacts for those that are no longer employed. Virtual Causeway’s programs provide outsourced business development, lead nurturing and generation services. Your sales team will be able to focus on reaching out to qualified leads and closing sales! Contact us today to find out how Virtual Causeway can develop a closed loop, integrated lead development and generation process that delivers qualified leads for your campaign. To ensure you rank high on search results, it is important to create content that is optimized for search engines such as blogs, web pages, case studies, guides, etc. For most people, the primary use of search engines is to find answers to problems. For great search engine optimization, a good rule of thumb for any B2B firm’s content strategy is to not only address those problems but to present itself as a credible expert. It’s not enough to just have a good strategy for creating optimized content, but you must also create valuable content that your readers will want to consume. So you’ve planned an amazing event for your organization. How do you make sure you have the right people attend? Whether you are planning a roundtable event, trade show, seminar, webinar or any other event, Virtual Causeway’s event services can help you fill seats with qualified registrants and attendees. Virtual Causeway will work to identify the appropriate contacts within your organization’s target market and qualify and nurture them in order to turn them into registrants. While speaking to any prospect, Virtual Causeway will inform them about the event, gauge interest level, encourage registration, seek any additional contacts that may have an interest, send any follow-up email invitations and register the prospect online where needed. Contact us today to find out how Virtual Causeway can generate measurable and repeatable results that impact the overall Return on Marketing Investment for your event. Have an event coming up that you would like to remind all your guests of via voicemail? Guided Voicemail is a fast, easy, and cost effective method to turn voicemail into a powerful one-on-one marketing tool. We take a voicemail message that has been recorded by you and deliver it to your list. We use live, human agents to accurately “guide” your pre-recorded message into the right person’s voice mailbox. Fast. Easy. Cost-Effective. Guided Voicemail can be used to support events, sales teams, channel communications, and announcements. When integrated with your marketing campaign, Guided Voicemail can dramatically boost email and direct mail responses, lead conversion, and event attendance. Essentially, Virtual Causeway’s Guided Voicemail provides an easy, effective B2B campaign that allows you to save time and reduce costs, while still connecting to your target contacts. If you are targeting your campaign to contacts in the United Stated, you can add on an email component. Once the message has been dropped in the respondent’s voice mailbox, a follow-up email can be sent, boosting responses to your campaign! Webinars and podcasts provide a unique opportunity to share ideas and information with listeners through a more personal means. Engage your audience with live Q&A’s and partner with key industry influencers and subject matter experts to reach a broader audience. Re-use the content to create blogs, social posts, case studies, testimonials, or lead magnets. 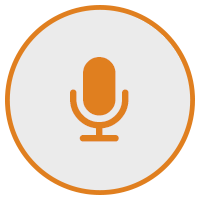 Virtual Causeway will help you produce high-quality webinars and podcasts to connect with your target market in a way that is easy, and entertaining, to consume while establishing your trust and credibility with prospects and customers alike.